Ernie Rea chairs a debate on the role and place of nuns in religious communities. How has the work of nuns and sisters changed in recent years and how do they remain relevant? 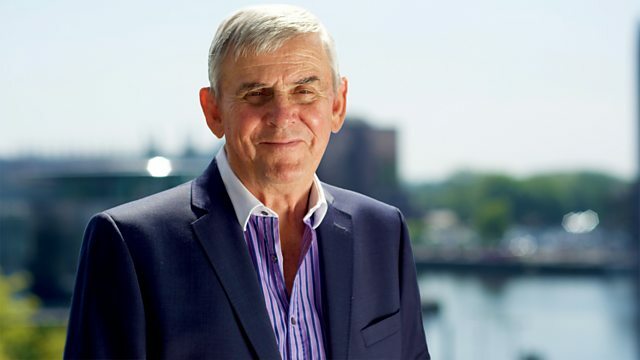 Ernie Rea chairs Radio 4's discussion programme in which guests from different faith and non-faith perspectives debate the challenges of today's world. Each week a panel is assembled to represent a diversity of views and opinions, which often reveal hidden, complex and sometimes contradictory understandings of the world around us. In this programme, Ernie discusses the role and place of nuns in religious communities. How have they changed in recent years and how have they coped with a serious decline in vocations? Is there a similar decline within other faith communities? Joining Ernie to discuss nuns are Myra Poole, a Sister of Notre Dame who is very involved with the movement for Catholic Women's Ordination; Rosanne Reddy, Sister of the Gospel of Life, a comparatively new order which she founded along with Cardinal Thomas Winning in 2000: and Lama Zangmo, a Buddhist nun and Director of the Kagyu Samya Dzong Buddhist Centre in London.